Sioux Falls, South Dakota, is “America’s Safest Driving City” for the fifth time in eight years, according to Allstate Insurance Company’s annual safe driving report, released August 28, 2012. Allstate has compiled the report for eight years in a row, using data from insurance claims made to the company. The report ranks the 200 largest U.S. cities from safest to most dangerous based on car accident frequency. 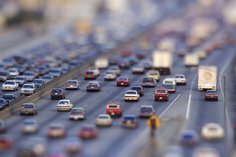 The report indicates that big-city drivers have more car accidents, statistically, than drivers in smaller cities or towns. In cities of more than one million people, only Phoenix drivers filed car accident claims less often than the national average of 1 every 10 years. Phoenix beat the national average, however, by only 0.2 percent.